Hello, everyone! Hope you are fine and enjoy iFonebox well. Since the release of iFonebox, it has serviced many users and help them find their lost data. We have been listening humbly to our customer's advice to solve iFonebox problems and fix bugs so as to make iFonebox better and better. Today, I also received another customer said that iFonebox can not allow to be installed by his part of internet provider, Rogers. As the problem did not occurred at our side when we test it so we could not locate the problem was caused after we uploading it to website or its the bug of our software zip pack. 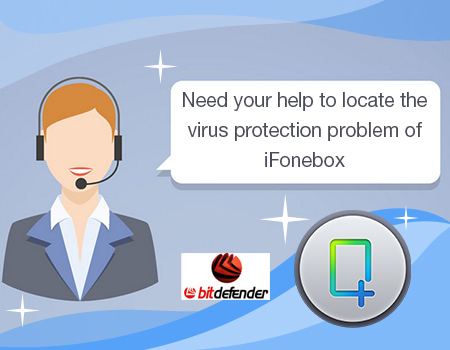 So, here we call all iFonebox users who meet the virus security problem to contact us and help us locate the problem to solve the problem as soon as possible. PS: iFonebox is 100% safe. Pleaes be reassred to buy and download. iFonebox will be your best iPhone data guard forever.